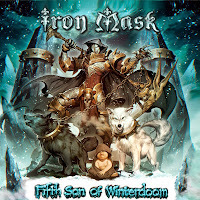 Rock & Metal 4 You: CD-Review: Iron Mask - "Fifth Son Of Winterdoom"
I know, I know, I'm a little bit late with this one, because the 5th album from the Belgian Metal band Iron Mask was already released at the beginning of November 2013. But I think this record is worth to get reviewed here. Iron Mask is another band I totally ignored over the years. I was familiar with the name but rarely more so I won't refer here to previous albums from this band. Very often this is a good thing, because everything is a bit more objectiv then. So, let's go! 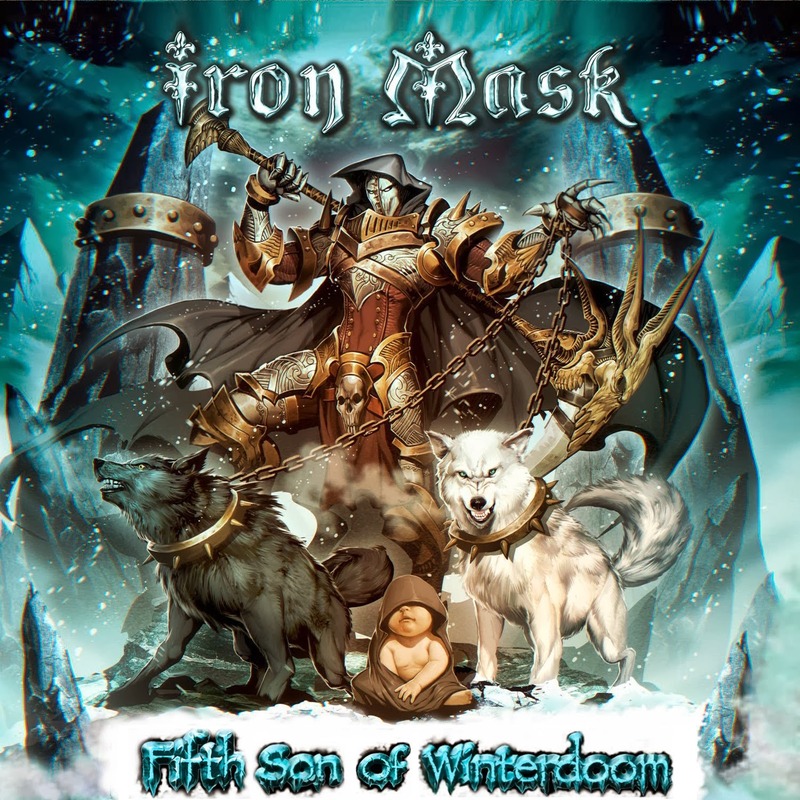 Iron Mask describe themselves as a Neo Classical Power Metal band, but I think that's not everything at all, because on "Fifth Son Of Winterdoom" they combine also some elements of Hard Rock and Heavy Metal. That means not every track is a fast Speed Metal song. This fact gives the whole thing lots of variety. But before I get right into the songs, let's take a look at the band members: we have Mark Boals on vocals and he is doing a very good job. On this album his style of singing reminds me a bit at Michael Sweet, so this gives some songs a slightly Stryper-touch. Guitar player Dushan Petrossi is responsible for the whole songwriting and you really feel that, because all songs focus on very strong guitar parts and melodies. I love the melodic double-layered guitars on this album so much. They take the songs to a higher level. It's hard to pick a song as a good example here because Dushan shines on each track. On drums we find (to my surprise) again Ramy Ali, who also plays on the forthcoming Beautiful Beast album and of course he is a memeber of the German Power Metal band Freedom Call. Finally Vassili Moltchanov rounds up this very good line-up with his bass lines. You can imagine how good this album sounds. You won't be disappointed - the production is really good! Talking about the songs my personal highlights are the great opener "Back Into Mistery" with its great epic chorus and of course the fantastic guitarwork. Then we have the ten minute epic "Fifth Son Of Winterdoom" with great atmosphere and excellent varied songwriting. 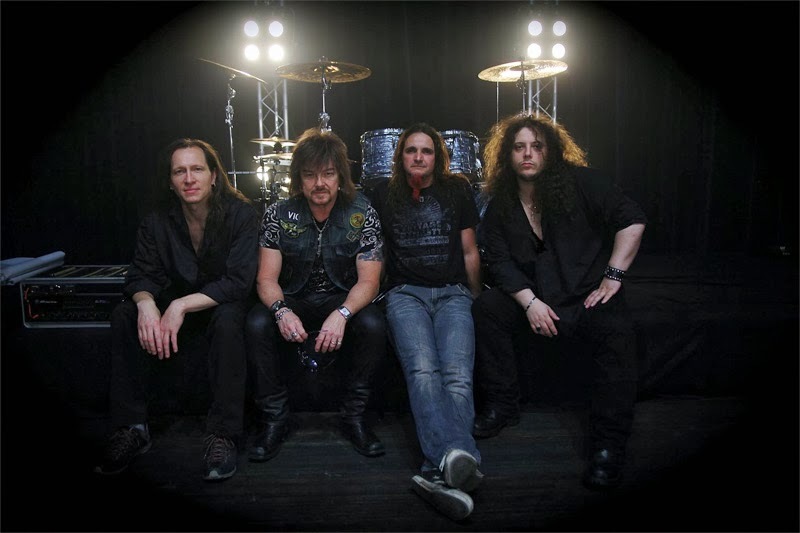 Another over the top hit to me is the very melodic Hard Rocker "Angel Eyes, Demon Soul" Check this one out! It's a typical feel-good-song and in a fair world this would be a big hit. Further we have the Power Metal anthem "Like A Lion In A Cage", which sounds like a mash-up of Stryper and early Sonata Arctica to me (probably because of the keys). The pounding "One Commandment" is also a good one as well as the hymn "Eagle Of Fire". You see, lots of great songs made it on the album, but sadly there are also some tracks, which seem to be growers ... but they don't want to grow on me. That includes tunes like "Seven Samurai", "Reconquista 1492" or the Heavy Metal track "The Picture Of Dorian Gray". They are all presented and played very well, but they couldn't impress me so much as the other tracks - maybe because the songs I mentioned above are more accessible. Finally I can tell you if you are a fan of Power Metal with some Hard Rock and Heavy Metal influences you will enjoy this album. It offers damn good guitar work, a tight musicianship and mostly very likeable songs, but keep in mind that there are also some more indigestible tracks on it as well - but maybe this is something you are looking for. It's again a matter of taste. To me the band did a really good job and this means eight out of ten! predecessor Black As Death is even better!